Mix 94.1fm and the Capitol Craftsman & Romance Jewelers are celebrating spring with our 'Spring Bling' giveaway...you could win a one thousand dollar gift certificate! Here’s how: Three times Monday through Thursday, at 7:35am, 12:50pm and 4:50pm, we will announce the “Spring Bling Question of the Day”. The answer to the question can be found on their web site at capitol craftsman.com. Find the answer and email it, along with your name, address and phone number to CCRJSPRINGBLING@GMAIL.COM. Please type 'MIX' in the subject line and you’ll be entered into a weekly drawing to become a finalist for the Spring Bling giveaway! We’ll pick finalists every Friday between now and May 3rd. On Saturday May 4th, our finalists will gather at Capitol Craftsman and Romance Jewelers in Downtown Concord; everyone gets a goody bag filled with great prizes... and inside one of the bags will be a one thousand dollar gift certificate for you to pick out your own 'Spring Bling'! It’s another fun, local, easy way to win with the Capitol Craftsman and Romance Jewelers, 16 and 18 North Main Street in Downtown Concord and today’s hit music Mix 94.1fm! 'SQUEAKY CLEAN' WITH THE 'DIRTY WORD'! Wood floors look dull? Carpets have enough sand in them to build a sandcastle? Tile lose it's luster? Your floors will look new and be ready for the warmer weather with All Brite Cleaning & Restoration! 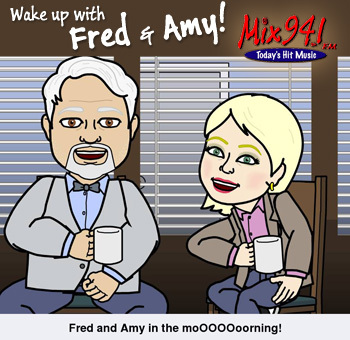 Listen to the Mix Morning Team of Fred & Amy every weekday mornings. They'll give you the All Brite Cleaning & Restoration 'DIRTY WORD/PHRASE of the day'! Hey...it's not what you think! Later, Lisa and Mower will ask you to recall it. Be the correct caller, know the 'DIRTY WORD/PHRASE' and you'll qualify to have your home 'ALL BRITE SQUEAKY CLEAN FOR SPRING'! All floors in your home….Carpet, Tile, Wood…any flooring, completely cleaned…top to bottom! And here's an added bonus: we'll give away a $100 All Brite Cleaning gift card every Friday through May 24th! Grand prize drawing is May 31st. RED SOX ON THE PLANET 100.1! WIN A DQ LACONIA BIRTHDAY CAKE! Win a DQ Birthday Cake from Dairy Queen/Orange Julius, 1126 Union Avenue Laconia! Fred & Amy will shout-out birthday wishes weekday mornings at 7:05. Friday, they'll pick one name from that week's birthday shout-outs to win a DQ Birthday Cake! Call the Mix Lines at 934-2500; 425-7273 or 1-800-941-1069 or email fred@mix941fm.com. Good luck! T-BONES/CACTUS JACK'S MIX PIX @NOON! You get to pick the Mix with Mix Pix at Noon, powered by T-BONES and Cactus Jack's in Laconia, every weekday on Mix 94.1fm! Call in or email your requests to lisa@mix941fm.com. We'll also get you qualified to win our weekly T-BONES and Cactus Jack's gift certificate. Lisa gives it away every Friday! T-BONES has great dining overlooking Paugus Bay and Cactus Jack’s serves up a taste of Americana with a distinctive western flair…and the best part is, it’s all made from scratch! 1182 Union Avenue, Laconia. Always Good 'N Fresh! 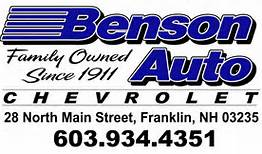 Click the link for special spring savings at Benson Auto, North Main Street in West Franklin! Empire Beauty Schools has been the leader in creative instruction for the cosmetology, aesthetics and barbering industry for over 60 years. Looking for a great career in an industry that has great employment and allows you to flex your creative muscles? Then it's time for your own Empire. Choose from acres and acres of vehicles! See them all at Merchants Auto, 1278 Hooksett Road, Hooksett. Click the link below! Click the banner-Save Money, Get a Quote with GEICO. CHANNEL 9 STORWATCH FORECASTS HERE! Or call the phone numbers listed above.